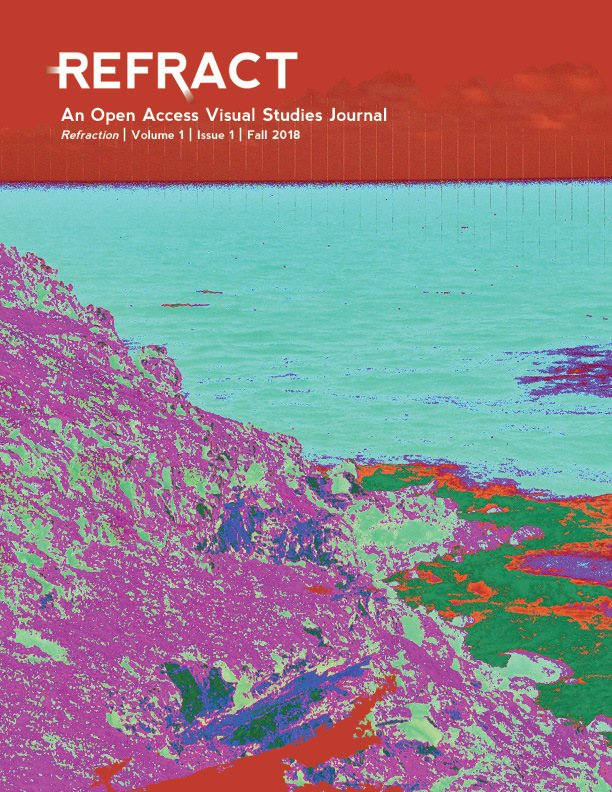 Refract: An Open Access Visual Studies Journal is an experimental, non-canonical platform for the discussion of visual culture through diverse histories and cultures. 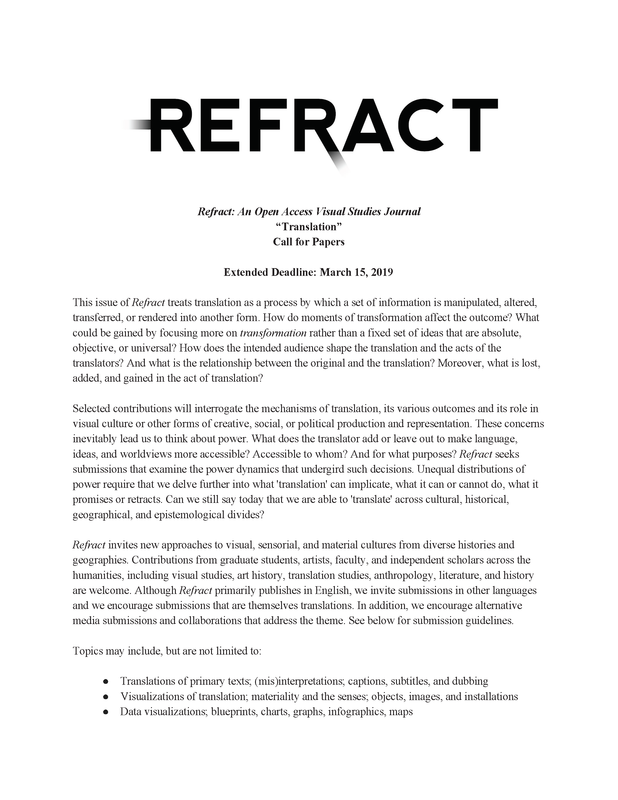 A graduate student initiative, Refract publishes annually and is peer-reviewed. Our mission is to foster and promote alternative ways of observing, conceptualizing, theorizing, and framing cultural production to disrupt hegemonic discourses. We invite the interdisciplinary, the multi-sensorial, the new, the difficult, and the in-between in critical analyses of visual cultures from diverse geographies and histories. We publish scholarly articles; essays; poetry; book, media, and exhibition reviews; and other creative contributions. Art history and Visual studies are the major fields to which Refract contributes. 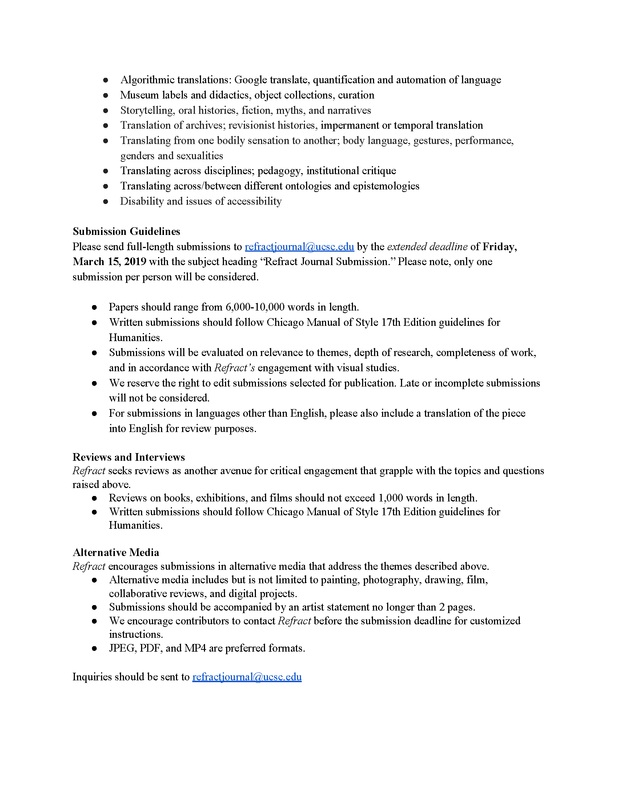 Intersecting fields include: Film Studies, Queer Studies, Feminist Studies, Anthropology, Literature, Philosophy, Cultural Studies, Ethnic Studies. We expect our audience to be similar to our contributors--graduate students, faculty, independent scholars, and artists.